Casa Caldera. San Rafael Valley, Arizona. 2015. DUST. 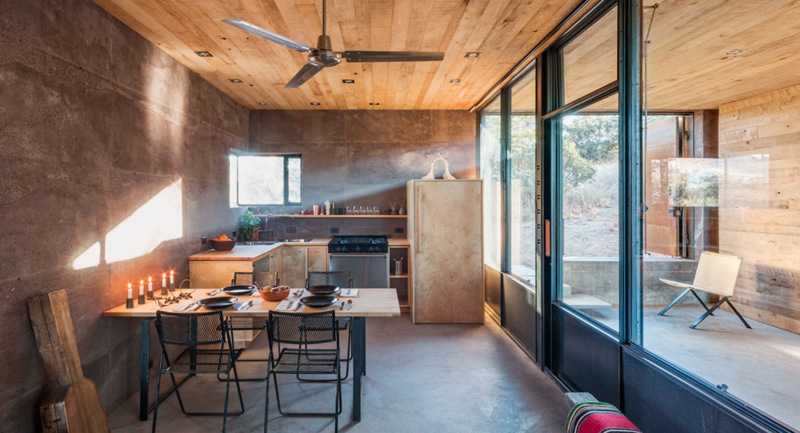 Architects Cade Hayes and José Robles designed this off-the-grid desert retreat to respond to, but not dominate, the natural landscape. 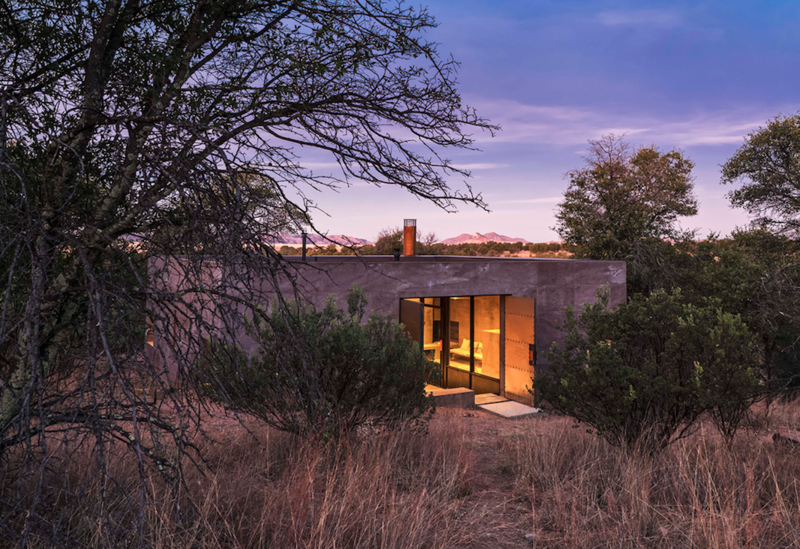 Nestled in emory oaks and manziatas, the structure is hidden from surrounding vistas and is camouflaged by its dirt-colored red scoria and pulverized lava rock walls. These poured lava crete walls are similar to rammed earth and reference the large volcanic activity that formed the surrounding topography. 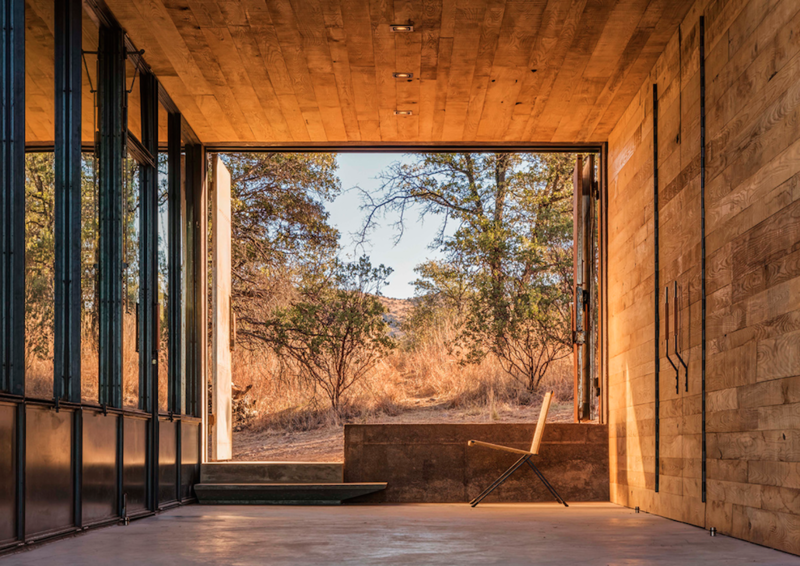 The zaguan plan (covered space that is exposed laterally to the outdoors to allow for natural air flow to move through the house) derives from local vernacular architecture and offers a sustainable method of cooling the living space. The building is oriented in the landscape to minimize solar heat gain in the summer, while utilizing a small solar electrical system to power the house for basic electrical use. Waste was minimized in the construction of Casa Caldera, with only a total of thirty yards of debris produced. (source).